Method: Gently heat the Golden Buttermilk Pancakes in microwave or toaster oven until warm. 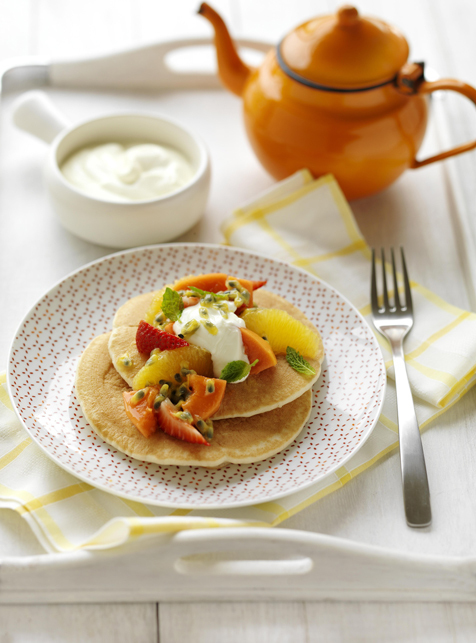 Slice fresh strawberries, blackberries or any other type of fresh fruit and arrange on top of pancakes. Top with a dollop of vanilla yoghurt.